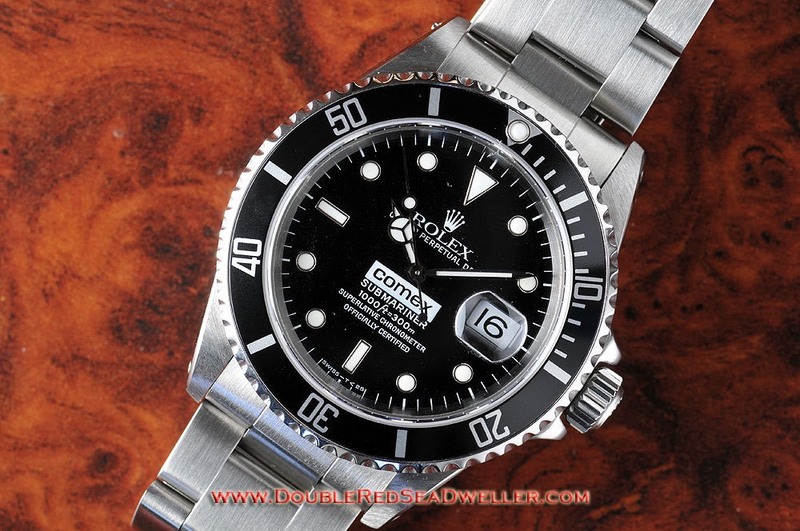 The current production submariner was delivered to COMEX between 1986 and 1997 before the COMEX company was sold and the longstanding policy of using Rolex watches for divers was discontinued. There were approximately a couple of hundred examples delivered and many are commonly seen complete with box and papers. Many were issued by non saturation divers or as gifts. As many of the other examples of COMEX watches, the 16610 sub had the COMEX logo in the dial which was originally a glossy dial with tritium markers with white gold surrounds. The other modifications seen on these watches involved the caseback which had a specific COMEX issue number for each watch. These watches did not have a helium escape valve. The 16610 Sub is desirable watch since they are considered COMEX watches. But, they carry a stigma by serious collectors as being the least desirable due to being a late sapphire crystal model and a non HEV model and possibly less likely to be used for deep sea exploration and more likely to be "desk-divers "or executive gifts. I think that since these watches were made to order by COMEX and still share many of the special delivery characteristics and to their specifications. So they will remain part of the COMEX watch myth and due very low production numbers a highly collectible and desirable watch. 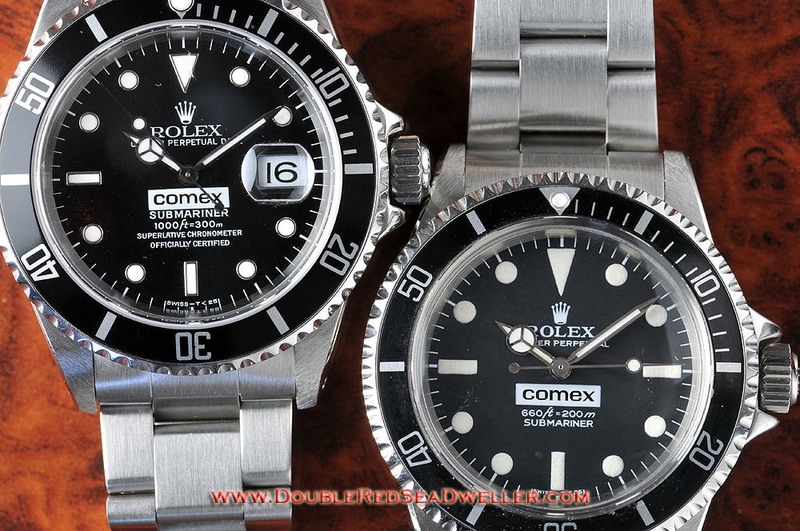 Below a 16610 COMEX Submariner and a 5514 COMEX Submariner.